1. How am I going to find customers? Many Licensees will use any or all of these marketing strategies — print advertising, telemarketing, direct mail to teachers, presentations to youth groups, placing brochures at selected locations, trade shows, etc. We have a dynamic marketing plan that you can use to get your business going. 2. How do I select a marketing area that’s right for me? We work with you to pinpoint a geographic area that’s comfortable for you and within close proximity to your home. 3. How is a Licensee different from a franchisee? A Licensee Agreement is simply a contractual agreement allowing an independent party to use certain proprietary marketing and operational information. The relationship then of Top Secret Kids to the Licensee is that of independent business to independent business. Unlike a franchise which sets up extensive operating procedures with significant restrictive convenience, we do not become involved in the day to day operation of your business. As a Top Secret Kids Licensee, you are not regulated by either the state or federal government. Of course as a business you have normal legal and tax requirements to fulfill. There are also no up-front franchise fees (a savings of up to $75,000 in most cases) or royalties which for many franchises, add up to 10% of their sales each year. No, you will not need employees at first. After several months, programs can be scheduled for mornings, after school and weekends, and can easily be managed by one person. The need for employees really depends on your own personal schedule and your desire to grow. 5. Are there other costs? 6. Is there competition? What about these big birthday party places? Unlike many business opportunities that claim they have no competition, no business is competition free, nor would you want it that way. It’s important to be with a ground floor opportunity but it is equally important to know that a market exists. Local markets continue to grow dramatically and because our business is unique — it competes very favorably with the big party places. 7. Where do I find supplies and inventory? Top Secret Kids stocks many of the supplies that your business will need. However, you can purchase your supplies from any vendor you desire. We will provide you with a comprehensive list of vendors in your organizational manual. 8. Do I need an office? No, this is a business that you can run successfully from your home. However, the small additional investment to run a chef’s kitchen or office is well worth the additional initial expense. You can operate an entire business in an 800 square foot office. Since this business doesn’t require a retail location, you can rent space in very inexpensive industrial areas. 9. Once I sign up, how long does it take to get started? The level of your activity and the manner you choose to operate your business will determine what, if any, operating costs you have. Begin your business with existing resources or set up a full fledged operating organization with associated staff, offices and expenses. The choice is yours. Just as the cost is under your control, so is your income. Your level of activity will help determine your income level. Your level of commitment to the concept will also be a factor. You may choose to be very active and consistently earn an excellent living or choose different goals. 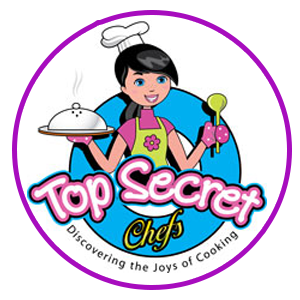 The key is that the Top Secret Kids concept can fill your needs in any situation and be a business tool for you to use to create whatever level of success you desire. If you follow our successful marketing plan, you should be providing classes or parties within a matter of weeks. 10. How much advertising should I do? We would recommend $100-$200 per week for the first two months and then scale it back as appropriate to your sales. After that point you should see a positive impact from word of mouth advertising or from social media. Because of our unique concept, a solid initial advertising strategy will provide better rewards. But please note, these are just guidelines only. Unlike a franchise situation, you are not obligated to advertise. 11. What are my responsibilities as a Licensee? Your responsibilities as a Licensee are extraordinarily simple. 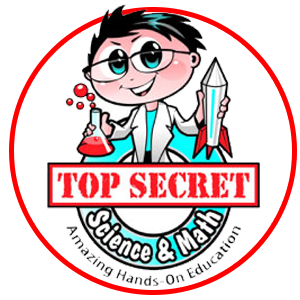 You will contact schools, youth organizations, day care centers and other target areas and offer them Top Secret Kids educational programs. 12. Why is Top Secret Kids more effective than other children’s programs? We are more effective because we are very unique. In fact, there is no other children’s business like it in the United States or globally. 13. Is this a marketable business for the next 5 years? This is an excellent growth opportunity because science, cooking and fitness & kids is a business in its infancy and the opportunity to explore and discover working with children will always be important to our future. 14. Why are the businesses non-profits? It is absolutely your choice on how you organize your business. You can be a sole proprietor, corporation or limited liability corporation. As a corporation you can make another choice of being a non- profit. Since we do work with schools we will show you that there are some unique benefits to becoming a non-profit. You can still make a significant income if you choose to become a non-profit.